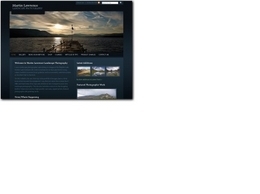 A landscape photographer specialising in images of the English Lake District and Scotland. His work is well known in the Lake District area, where he exhibits in several local galleries and has monthly exhibition/sales at the Moot Hall in Keswick. Photographer Alexandra Jakubowska has been lucky enough to turn her passion and hobby into a job. Using her eye for creativity and her experience in photojournalism and contemporary styles. A range of personalised photo frames ideal for keen photographers to buy, sell to clients or recommend as a gift.